JJA Home Improvement is a Southern MD licensed home improvement contractor of new replacement seamless gutters and gutter guards operating in the St Marys County, Calvert County, Charles County and Prince Georges MD areas. St Marys County, Prince Georges County, Calvert County, Charles County, St Leonard, Solomons, Huntingtown, Dunkirk, Owings, Charlotte Hall, Mechanicsville, California, Hollywood, Lexington Park, Great Mills, Leonardtown, Chesapeake Beach, Sunderland, Clinton, Fort Washington, Accokeek, Temple Hills, Camp Springs, Brandywine, Waldorf, La Plata, Hughesville, Prince Frederick, and Lusby MD. Say goodbye to clogged gutters due to leaves, ice and snow. JJA Home Improvement installs Eco Guard by Spectrum gutter guards, the leading gutter protection system on the market that keeps gutters clean year-round. 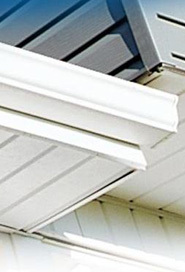 Eco Guard fits most gutters and is backed by a 10-year "no-clog, no-overflow" warranty. 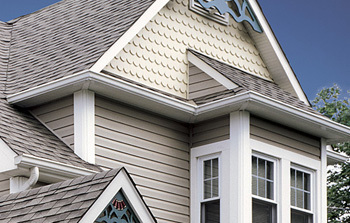 To schedule a FREE in home roof estimate, click here.